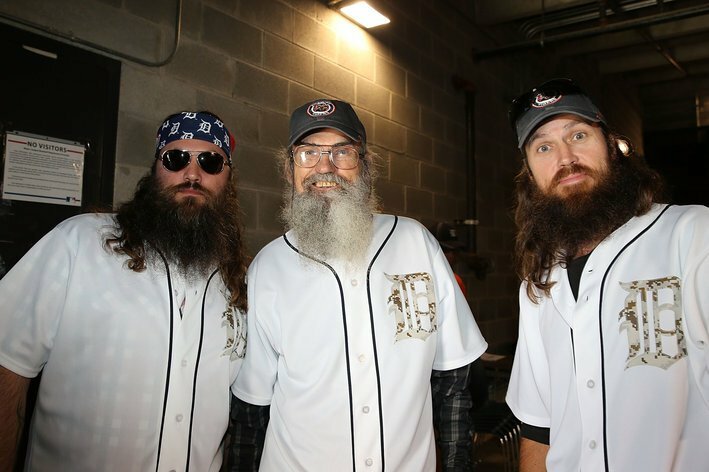 Duck Dynasty’s Willie, Jase and Si Robertson were in Detroit on Sunday for a sold-out performance at MotorCity Casino, and the Tigers wisely took advantage of the opportunity. Uncle Si, Willie and Jase Robertson were invited to Comerica Park to throw out the first pitch at Chicago White Sox vs. Detroit Tigers. “That was some great welcome we got,” said Jase Robertson.